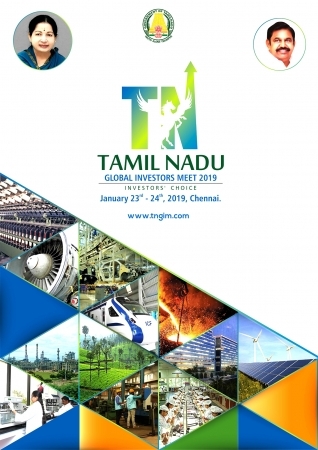 The second Global Investors Meet (GIM), organised by the Tamilnadu government, will begin Wednesday (23 January). The Global Investors Meet is expected to focus more on micro, small and medium enterprises (MSMEs). The government is concentrating on auto and auto component industry to attract major investments in the sector. The two day Global Investors Meet is happening at Chennai Trade Centre in Nandambakkam. All roads leading to Chennai Trade Centre is decked up and all arrangements are being made for smooth conduct of the show. Besides Chief Minister Edappadi K Palaniswami, State Ministers, industry leaders and corporates from across the globe are expected to attend the meeting. Remember the first GIM took place when J Jayalalithaa was the Chief Minister.